The “I have nothing to wear!” war cry sounds again. I have been so busy painting and doing things around the apartment that my very frugal wardrobe has all but disintegrated. I have a lot of fabric that I have set aside for myself, but haven’t found the time to do anything about it. 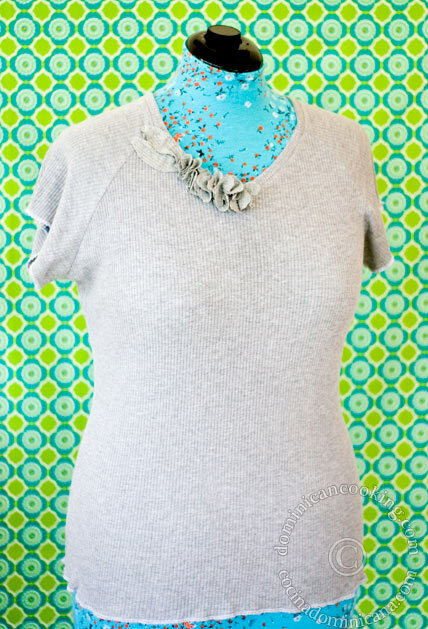 This v-neck jersey knit top with flowers is pretty simple to make, and pretty quick too. 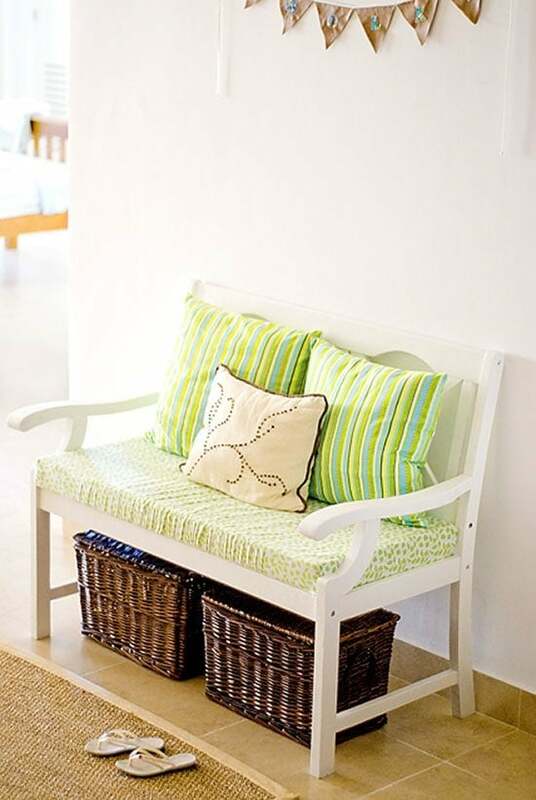 But let me share with you something I sewed a while ago. It’s a v-neck tee that I made out of some rib knit I found some super-cheap fabric online. By the way, today they are offering 10% on all purchases over $40, just use code DOD1011 at checkout. All orders over $35 ship free (they ship outside the US, not for free though). I just ordered the fabric for Nadia’s Halloween costume (paid with my own money, I must add. I’ve been buying from them for years). Back to my tee. The fabric I used is the Poorboy Rib Knit in gray. It is a very soft, stretchy knit, but a serger is a must for this type of fabric. I have tried sewing it without one and there are only limited things that can be done without a serger. I decided to leave the edge on the sleeves and bottom without a hem. I liked the look of the serged edge. Anyway, as I said, I made this one a while ago, I just didn’t show you because it looked so plain, but I had a little accident and spilled something near the neck. I grabbed some scraps of the same fabric and made some flowers (circles stitched together) and leaves and sewed them around the neck, covering the stain. I don’t know why I didn’t do this from the start, it looks a lot better now. I already finished another top from the remaining yard I had, but I didn’t have time to make photos. I’ll show you later this week. And I noticed today that I have a disproportionate amount of gray clothes. Am I the only one that likes dressing in gray? The little detail really makes the top beautiful. What a happy accident! I look forward to more of your sewing. Cute top! I'm a fan of grey too, as you may have noticed. I really like your design there. I like the idea of repairing a tee like that. Nice job.